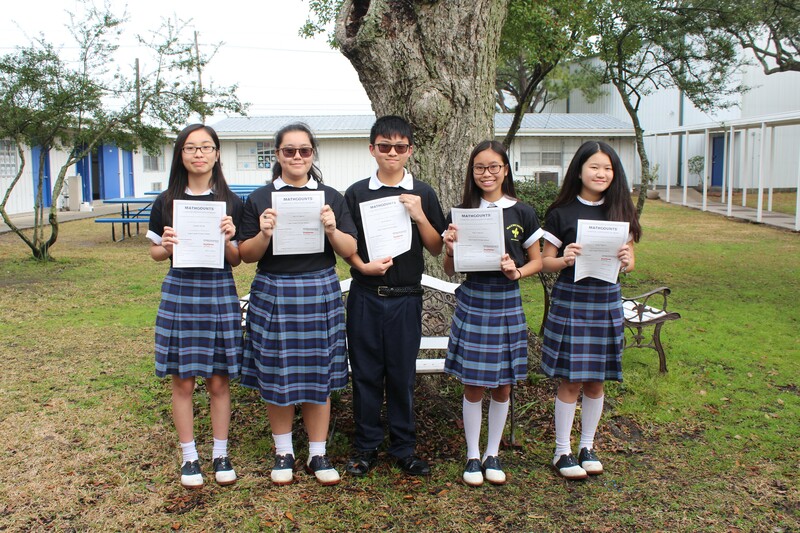 Congratulations to Jennifer Huynh, Amy Le Nguyen, Kevin Nguyen, Amy T. Nguyen, and Jessica Nguyen for finishing in the top twenty of all students competing from Orleans Parish, Jefferson Parish, and St. Tammany Parish! That is an amazing accomplishment! Our four-person Lake Castle Mathcounts team won third place and qualified for state at the chapter competition on Saturday, February 2, 2019, at the University of New Orleans College of Engineering! Lake Castle Private School does not discriminate on the basis of gender, race, color, creed, or national origin.